The H.O.T. Kart Club allows it’s members to come out to the Kartway and practice at any time. That being said, please know that you practice at your own risk on non-sanctioned, non-race days. 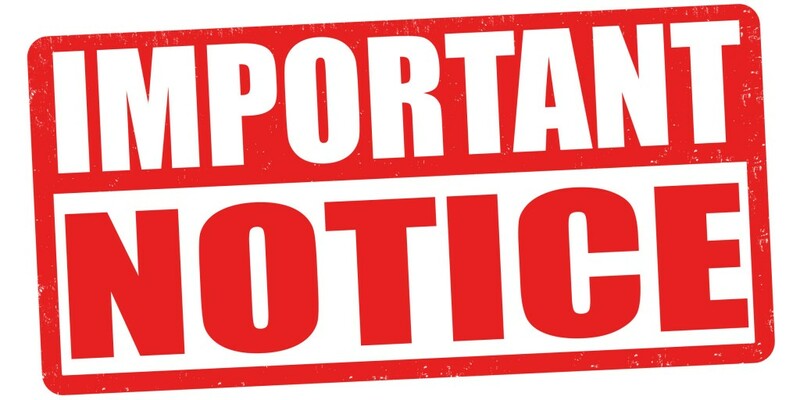 An official notice is attached to your membership application and is to be signed upon joining the club and paying your membership dues. Notices are also posted around the track. PRACTICE AT YOUR OWN RISK! The H.O.T. Kartway is open to members for practice at any time. The H.O.T. 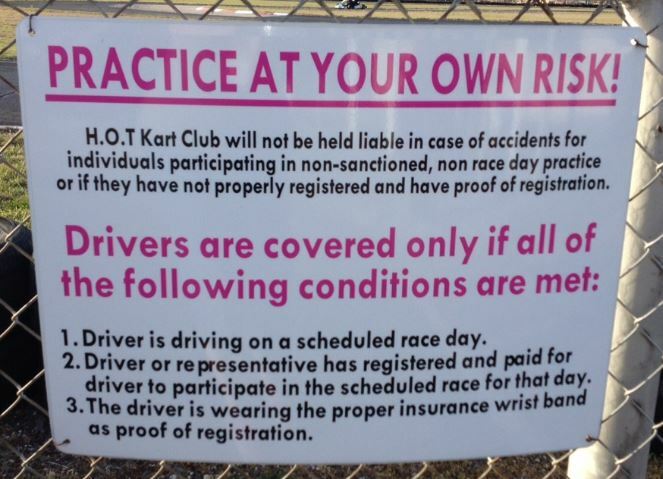 Kart Club will not be held liable in case of accidents for individuals participating in non-sanctioned, non-race day practice or if they have not properly registered and have proof of registration. 1. Driver is driving on a scheduled race day. 2. Driver or representative has registered and paid for driver to participate in the scheduled race for that day. 3. The driver is wearing the proper insurance wrist band as proof of registration.